Welcome to Redgrave Community Society Limited. If you are looking for The Cross Keys, Redgrave, please press this link. The Redgrave Community Society Ltd came into existence in July 2017 as a result of the 500 year old village pub, the Cross Keys, having been offered for sale to the community by its previous owners. The pub had been ailing for a number of years and, aware of the enormous benefits of a flourishing pub in the heart of any village, the local community agreed to try and raise the funds to purchase it as a valuable community asset for Redgrave. 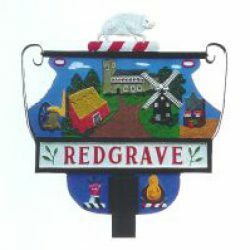 The Redgrave Community Society Limited was set up as a community benefit society, a non-profit making society, which would be the legal entity through which the pub would be purchased. Shares in the benefit society were offered at just fifty pounds each, the intention being to make them accessible to the whole community. When it comes to voting, shareholders have just one vote per member no matter how many shares they hold: 200 shares or just one, they both get just one vote. However, the ambitions of the society are broader reaching. The purchase of the Cross Keys has been the first achievement of the society but, with the long term aim of ‘serving the community’, it will give consideration to the possible funding of other community initiatives in the future.